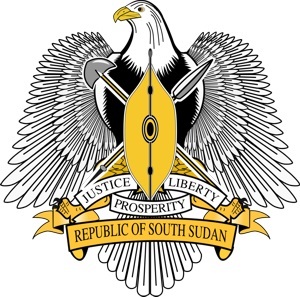 The Republic of South Sudan is a country in northeastern Africa that was created by the secession of the southern part of Sudan in 2011. Today, South Sudan is a landlocked nation, and shares borders with the Central African Republic, the Democratic Republic of Congo, Ethiopia, Kenya, Sudan, and Uganda. Probably the best estimate of the current population of South Sudan comes from the 2008 Sudanese, census, although the figures have been disputed. According to the census, the population was 8,260,490. 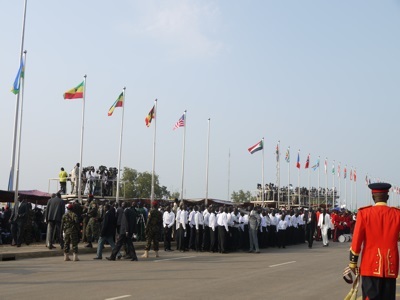 The capital of South Sudan is Juba, which is also the country's largest city, but it is planned to eventually move the capital to Ramciel. Are you planning your next vacation abroad and you’re ready to explore? Do you want to be prepared for everything? Are you ready to experience every new place you visit just like a local? Well, with this amazing Juba (South Sudan) travel map you’re all set and ready to go! In the Juba (South Sudan) map you can see all the available means of transport, bus stops and routes so you can always know how to get everywhere. And because we know that a vacation is not only about the roads and busses, the map gives you many options for eating, drinking and having a good time! We carefully marked all the restaurants, bars and pubs so you can always find one that is nearby. In the Juba (South Sudan) map you will also find the best places to go shopping, the most famous and must-see sights, churches and more. And if an emergency comes up, there are markings of police stations and hospitals everywhere for your convenience. So what are you waiting for? Pack your bags, get your Juba (South Sudan) map and let’s get started! Whether you live, study or simply travel abroad, our South Sudan Vacation Journal is the most exciting and eye-catching way to keep all your travel plans and memories in one place! This 2011 map shows the new division of Sudan. A clear and detailed map with relief depicted by elevation-tinting and spot heights. Terrain features such as sand deserts, stone deserts, lava flows, salt flats, water holes and swamps are distinguished. The map shows various categories of roads including selected tracks, with intermediate driving distances marked on many routes. Railways, oil pipelines and administrative boundaries are drawn. Symbols denote oil production sites, airports, ports, places of worship, campsites and hostels, beach resorts, oases, forts, museums, UNESCO sites, and other antiquities and sites of interest. Many names of places and regions are written both in Arabic and in Latin script. Lines of latitude and longitude are drawn at 1° intervals. Includes two insets with street plans of central Khartum and Juba. Multilingual legend includes English, fully indexed, hard cover. Size 94 x 87 cm (37 x 34 in).